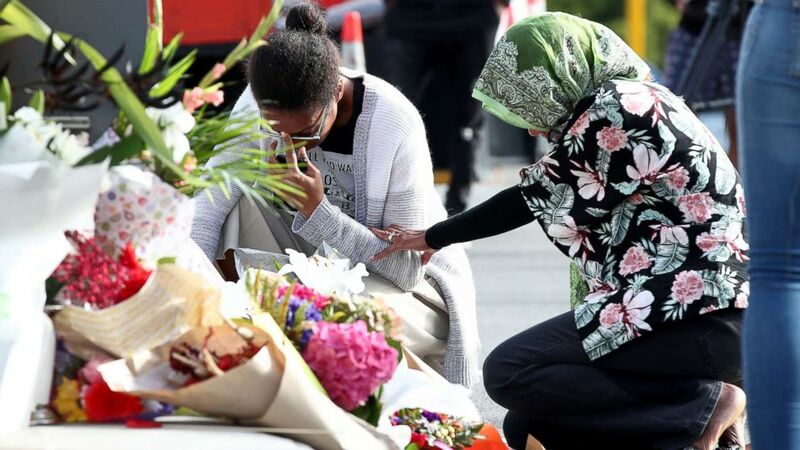 (Fiona Goodall/Getty Images) Locals lay flowers in tribute to those killed and injured at Deans Avenue near the Al Noor Mosque, March 16, 2019, in Christchurch, New Zealand. “Shocking, violent and graphic content has no place on our platforms, and we are employing our technology and human resources to quickly review and remove any and all such violative content on YouTube. As with any major tragedy, we will work cooperatively with the authorities,” a company spokeswoman told ABC News in a statement. "Our hearts go out to the victims, their families and the community affected by the horrendous shootings in New Zealand. Police alerted us to a video on Facebook shortly after the livestream commenced and we quickly removed both the shooter’s Facebook and Instagram accounts and the video. We're also removing any praise or support for the crime and the shooter or shooters as soon as we’re aware. We will continue working directly with New Zealand Police as their response and investigation continues," Facebook New Zealand spokeswoman Mia Garlick wrote in a statement. 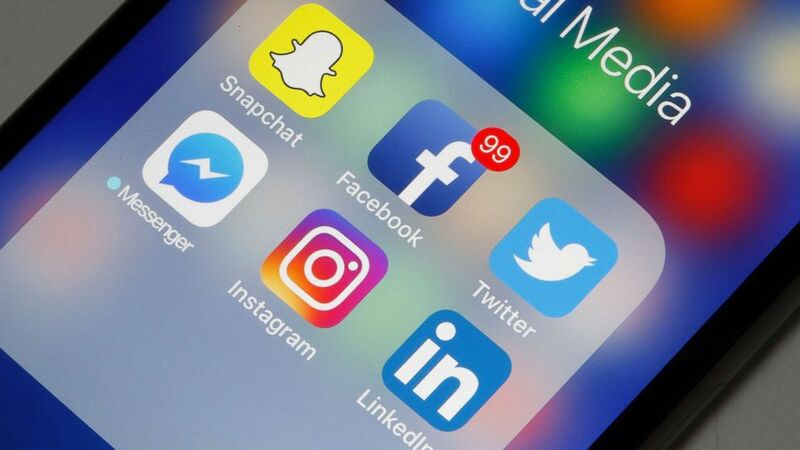 (Getty Images) Social media applications are displayed on the screen of an Apple iPhone on May 12, 2018 in Paris. "There are AI techniques that can combine attributes of a scene along with metadata (i.e., where it's being uploaded from, who the uploader is, what words might occur in the title, etc.) but they’re not as robust," Soltani wrote. 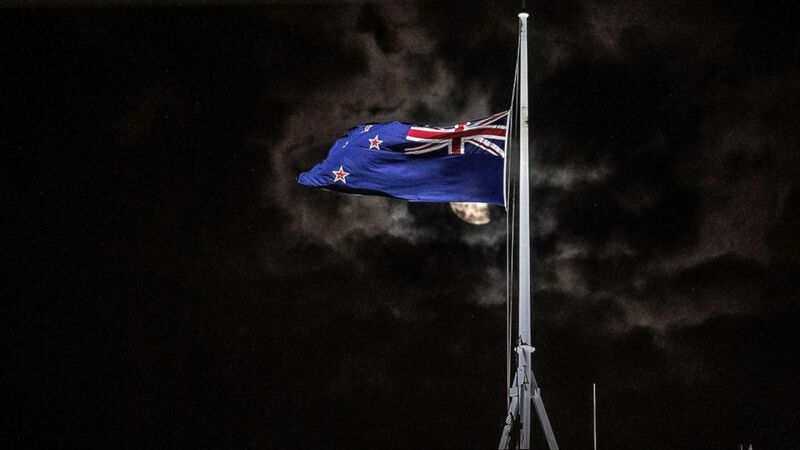 (Marty Melville/AFP/Getty Images) The New Zealand national flag is flown at half-mast on a Parliament building in Wellington, New Zealand, March 15, 2019, after a mass shooting at two mosques in Christchurch. "So much reads like alt-right trolling you wouldn’t know, just by reading it, that he’d go out and shoot 49 people. Until he’d done it. You can tell it took the channel a while to figure out he was really shooting people. Some were asking if it was live-action role-playing. And then, as they realized, the community split. Some took the position: delete everything, we’ve got to get out of here, and others were cheering him on," Ben Nimmo, of the Atlantic Council’s Digital Forensic Research Lab, told ABC News. "The thing is hindsight is no good, you’ve got to have foresight," Nimmo added.